Posted on June 12, 2017 by Integrity Saw & Tool, Inc.
After working as a tool and die machinist for 13 years, Jeff came to IST to fill a new role: process engineer. He made the career switch because he foresaw a demand for those skills. 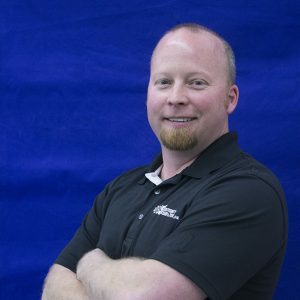 A Fond du Lac resident, Jeff has served as process engineer at IST for the past six years. But what does a process engineer do? And what does Jeff do when he’s not at work? Read on to learn more about one of IST’s valued team members. What exactly do you do at IST? “My situation here is unique. I’m the single touchpoint for all custom tooling at IST — whether it’s new or repeat orders. I work directly with the customers up front and design the tools that they’re looking for. I spec them out, let them know which coatings work well and what geometry works well. What do you like best about working at IST? “The camaraderie of everyone around here, which starts at the top with Paul (Reetz). There’s an openness here. You are encouraged to try something new, and you won’t get shunned if it doesn’t work the first time. Want to tap into Jeff’s process engineering prowess? Contact Integrity Saw & Tool today!